This is bye for a week, yah'll! While I'm gone checking out colleges in SoCal, I probably won't be able to update - but who knows. I think I'm bringing my laptop...so maybe I will? I guess we'll see. I'll definitely take photos though. :) Oh, and just so you guys know (in response to some of your comments) I'm not DEFINITELY going to any of these schools that I'm checking out. I'm just visiting to get any ideas at all about what I'm looking for in a college. 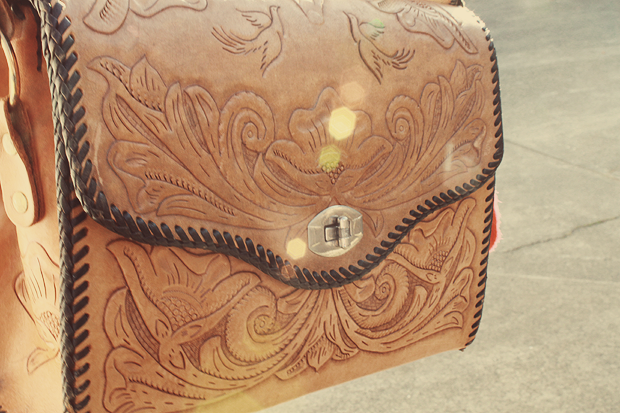 Anyway, this is my "new" vintage 70s tooled purse from the flea market last Sunday! I really love it, and it's great that it can fit my camera. 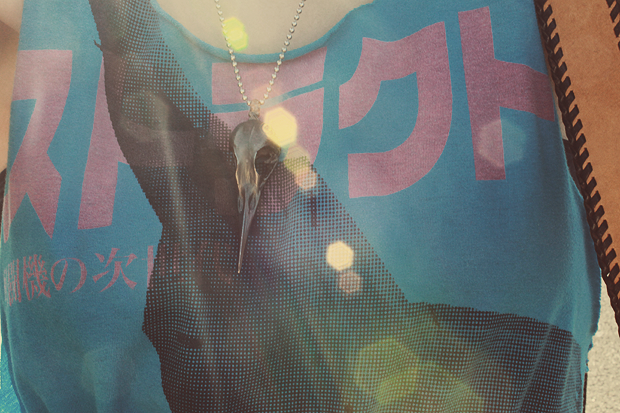 I got the little charms that you can see on it yesterday in China Town in SF - I went for my friend's birthday. It was a fun time! That purse is so beautiful! I love your outfit :) Hope you have fun looking at colleges in SoCal!! have a great trip! i love your skirt and bag!! Girllllll, I'm convinced you can rock anything in the entire world (that I can't!). 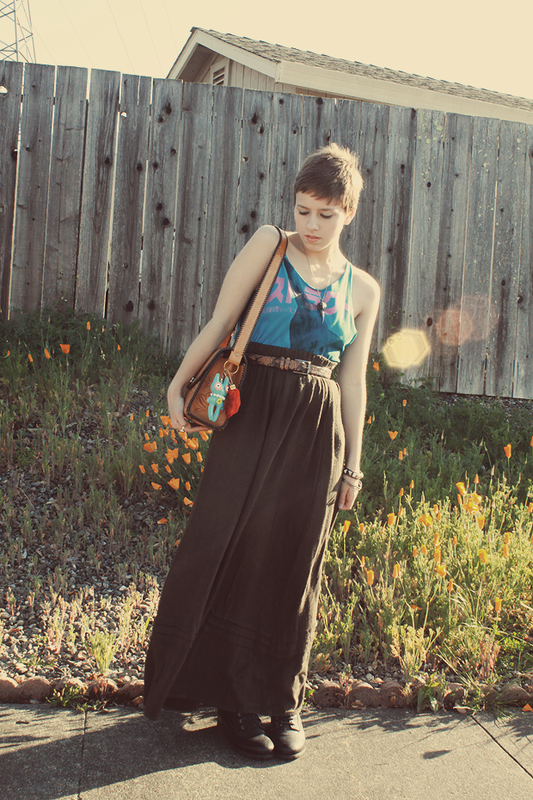 Look at how gorgeous you are in that maxi skirt! I'm jealous! Yesss I love this outfit. Hipster chic. That bag, darling, is to die for. I think you look pretty with long skirts. They are my favorite! Good luck with the search of the perfect college! I know you'll have fun! you look pretty,love your hair cute bag and you are so nice wear a maxi skirt.i'm new followers,feel free to follow me back if you like. Wow, such pretty light and beautiful photos! I like your haircut, too... I ought to, seeing as I have almost the same one, haha. 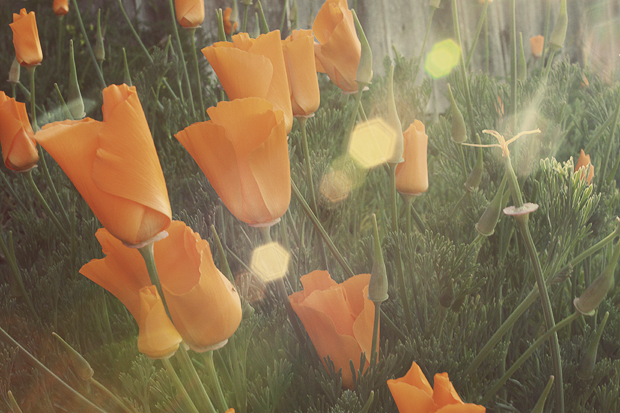 Anyway, your style, as usual, manages to unite the coolest stuff in the most unexpected and perfect way. I love that green on you! I'm not sure if it's a school you're considering, but you should come check out Stanford! I would be more than happy to show you around and give you my unvarnished opinions. best of luck with your college search! dude!!!! this outfit is my favorite! 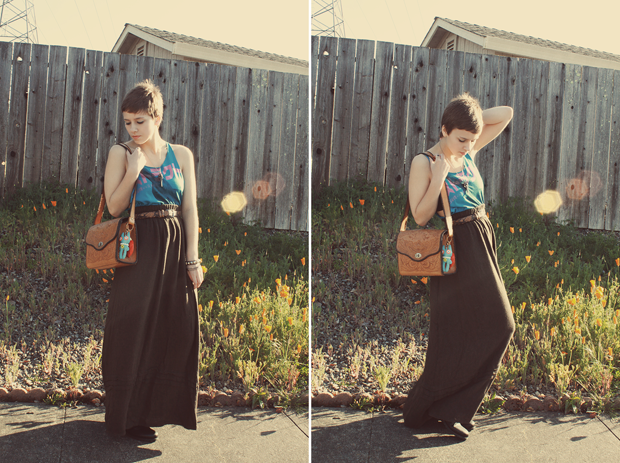 i love the maxi and what a sweet find that bag was at the flea market. It'll be an awesome week! I can see it coming and oooh the pictures! I'll be waiting. I'm sure that your trip will help you find what you're looking for. personally I prefer schools close to home, but it all depends on what you want. I usually don't like big classes, but I don't have that many so that's great! you always look absolutely gorgeous!!! You definately look amazing in this outfit!